Frontier Homestead State Park Museum tells the story of development in Iron County when in the 1850’s, Brigham Young sent Mormon missionaries here to mine and process iron. Museum displays include horse-drawn vehicles used from 1850 to 1920 and a collection of pioneer artifacts. An iron industry exhibit features the only known remaining artifact from the original foundry – the town bell. In addition to the permanent collections, changing special exhibits highlight artists from the local region, as well as rarely seen artifacts from the museum’s collections. 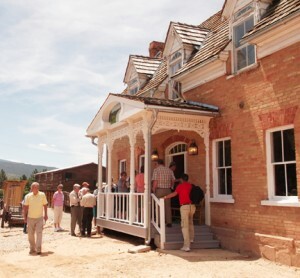 Other items of interest include several historic cabins, a large collection of horse-drawn farm equipment, and Cedar City’s oldest remaining brick home, the Hunter House.